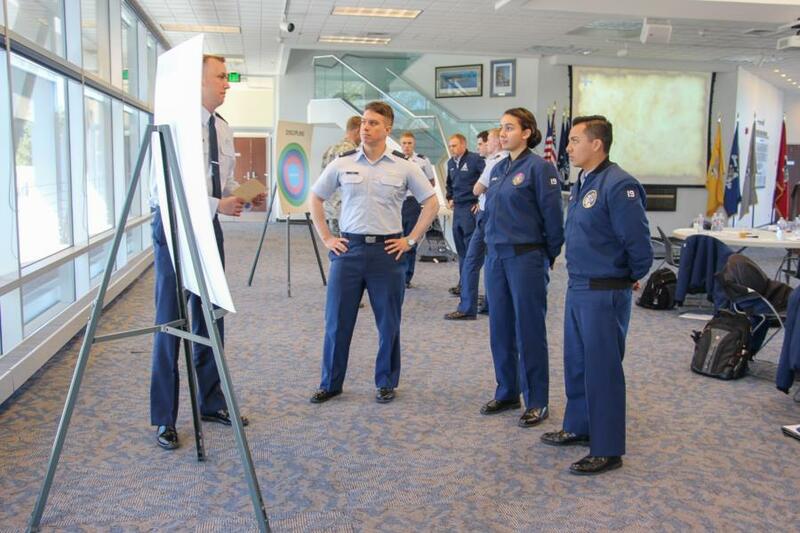 The AOG has been hosting Cadet Seminars all week. We stopped by during one of the Spring VECTOR Seminars held at the AOG today. All 4th Class Cadets will attend a one-day VECTOR session during their first year at the Academy. This program is an interactive seminar that focuses on values, personal leadership growth, and self-reflection. The topics that are addressed include establishing purpose, developing vision, assessing personal values, and acknowledging influence. VECTOR illustrates the importance of developing a strong personal foundation. 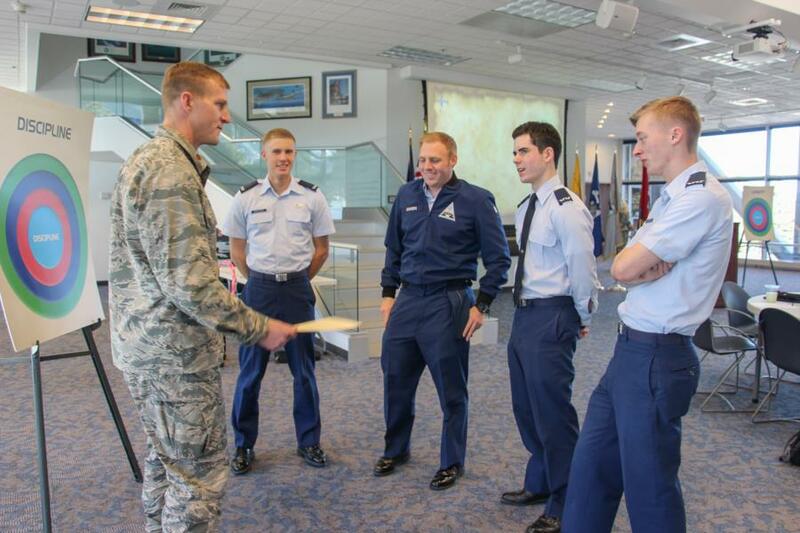 They are shown some movie clips and partake in discussions with active duty and retired officers & senior NCOs become a springboard into the discussion of character, leadership, and assertive followership concepts involving the cadets' lives at USAFA and in the Air Force. Here are some highlights from todays VECTOR workshop. To view the rest of the pictures taken during the VECTOR Seminar go to Classes - 2019 - Character and Leadership Development. Or click the link below.